The title of this book is History of the Chippewa Valley and is written by author Thomas E Randall. The book History of the Chippewa Valley is published by Andesite Press. The ISBN of this book is 9781298850225 and the format is Hardback. 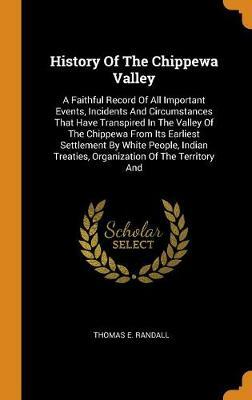 The publisher has not provided a book description for History of the Chippewa Valley by Thomas E Randall.